A total of six African-American women have been found dead in police custody in just the last month. 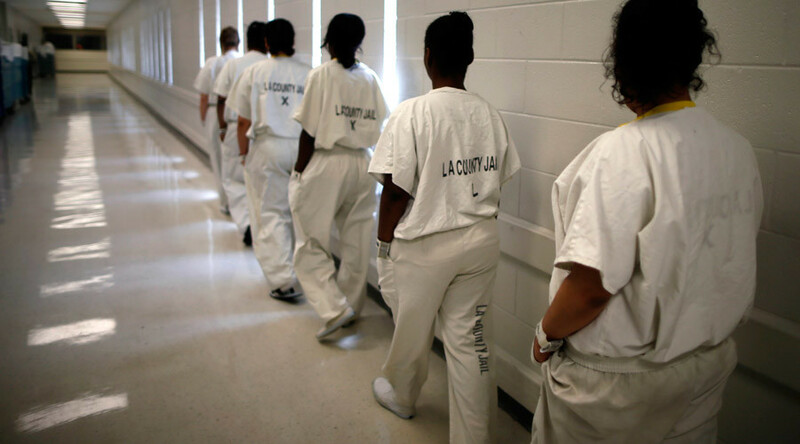 Most of the deceased women had been in jail for no more than two days and held for minor charges. Their deaths are all under investigation. The six women are: Sandra Bland of Texas, Kindra Chapman of Alabama, Joyce Curnell of South Carolina, Ralkina Jones of Ohio, Alexis McGovern of Missouri, and Raynetta Turner of New York. It has been 17 days since activist Sandra Bland was found hanging in her cell in Texas three days after being arrested for a traffic violation. On Thursday, the activist peace organization CODEPINK joined the DC Chapter of Black Lives Matter in delivering a petition with over 500,000 signatures to the Department of Justice, demanding a thorough investigation into the events surrounding Bland’s arrest and death. Bland’s death has once again raised questions about how inmates, and particularly women, are treated in custody. Turner, 44, was the latest African-American woman to die in jail. Her death was discovered in a Mt. Vernon, New York jail cell on Monday. Turner had been arrested for shoplifting on Saturday and taken to a local hospital after notifying officials of various health issues, according to ABC News affiliate Channel 7. She was returned to her cell Sunday and fingerprinted early Monday morning. Turner was found unresponsive in her cell at 2 pm that same day, and her death is now under investigation. “All I know is my wife is dead and no one is saying anything,” said Herman Turner, Raynetta’s husband, to ABC. There are four other women who have been found dead as well. Kindra Chapman, 18, committed suicide in an Alabama jail after being held for only two hours on July 14, following her arrest for allegedly stealing a cell phone. Alexis McGovern, 28, was found lifeless in her bed at the St. Louis County Jail after being confined to a medical Infirmary on July 17. Joyce Curnell, 50, was found dead on July 23 at the Charleston County Correctional Facility. Curnell, too, had first gone to the hospital because of a medical issue before being sent to jail. She was arrested for shoplifting. On Sunday, Ralkina Jones, 37, was found unresponsive in a Cleveland Heights, Ohio jail after a Friday arrest for a domestic dispute with her husband. There have been more than 600 fatal police encounters with the public in the United States this year, according to the American Civil Liberties Union of Texas. “Deaths in police custody are often associated with excessive force, medical neglect, or failure to prevent suicide, and they are more common than they should be,” Matt Simpson, senior policy strategist for the ACLU of Texas, told Reuters. US government prison data shows that 4,309 inmates died in local jails or state prisons in 2012. About one-third of suicides in local jails occurred within seven days of the individual’s being arrested.